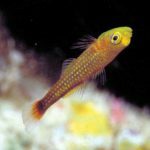 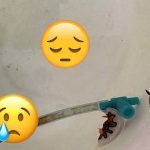 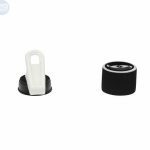 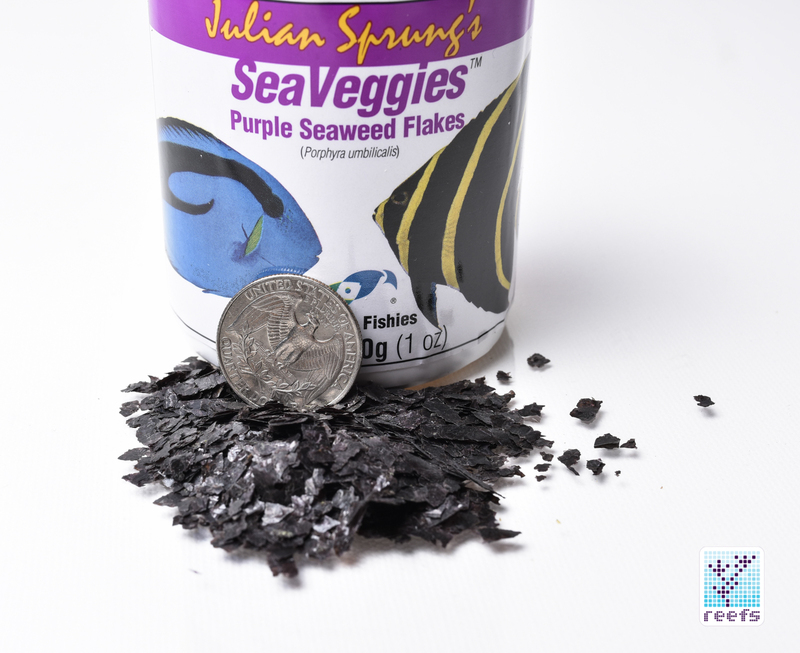 When Julian Sprung isn’t busy writing excellent books on fishkeeping and giving talks at major shows, he likes to develop innovative products for the aquarium market. 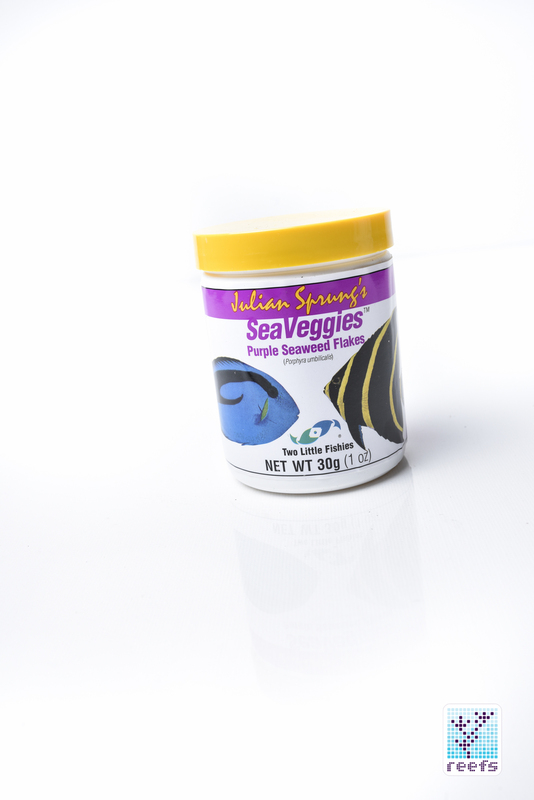 Today we are reviewing the fish food called SeaVeggies. 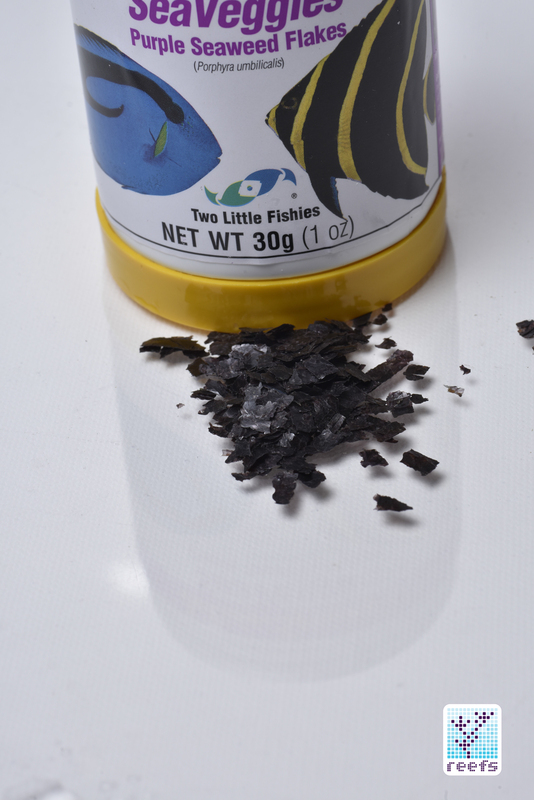 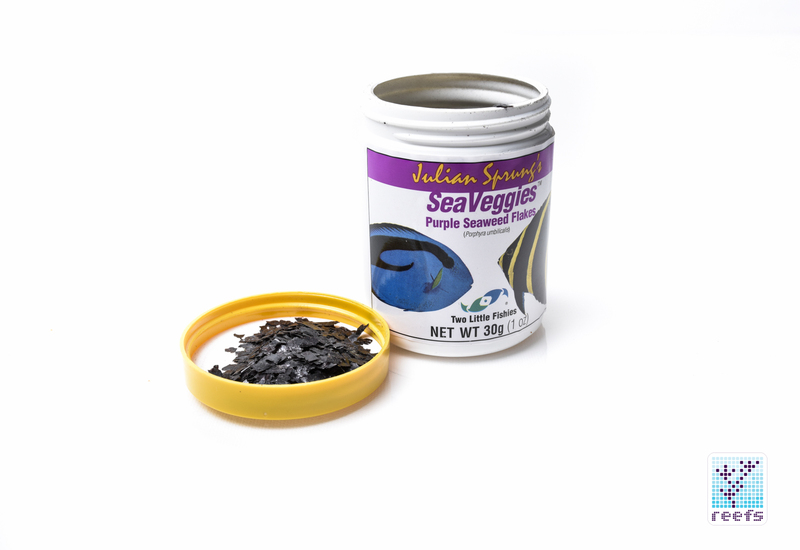 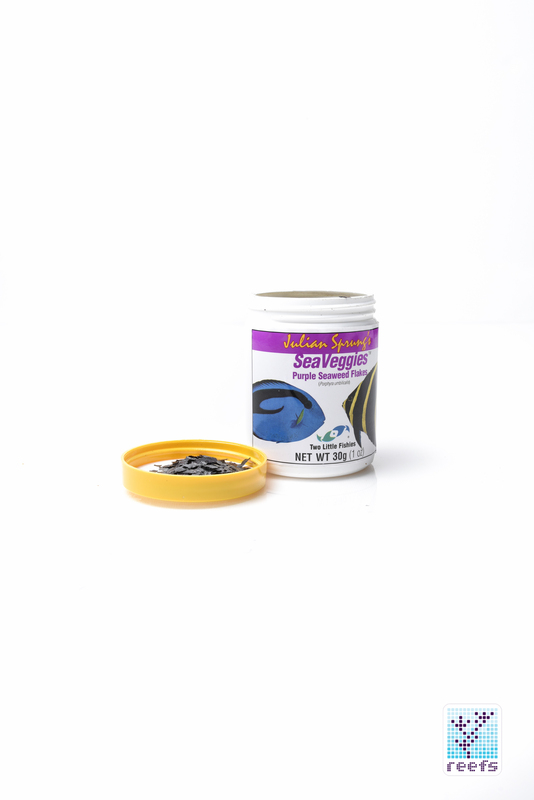 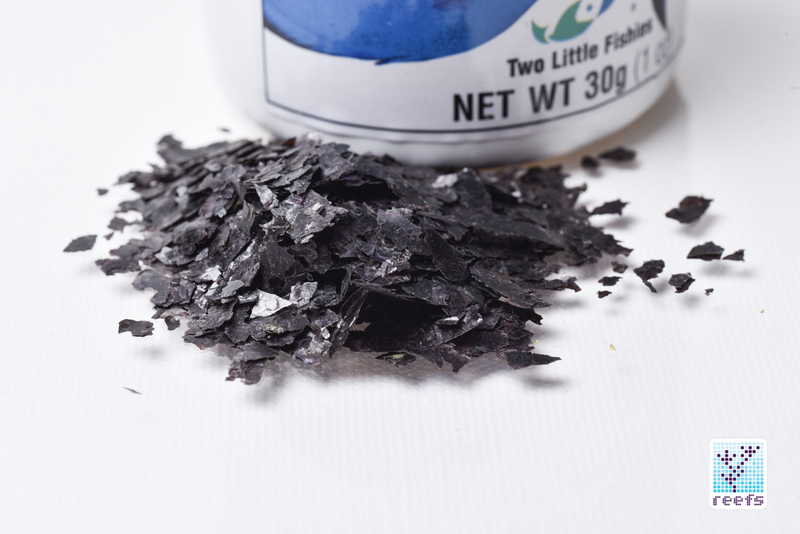 SeaVeggies, as name suggests, is a herbivorous fish-specific dry food in flake form. 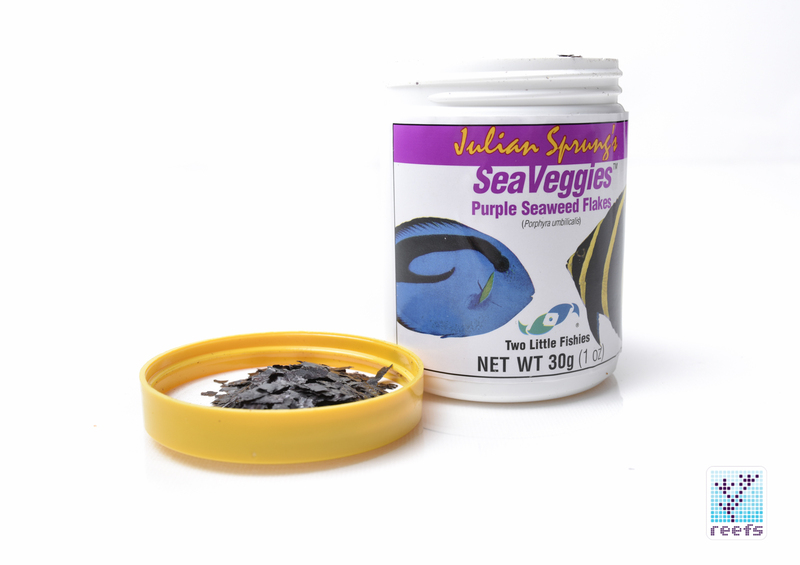 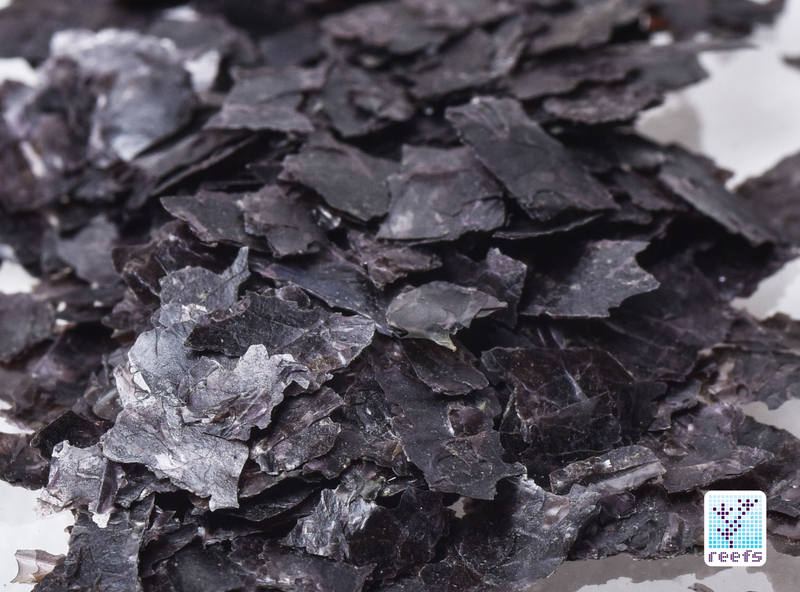 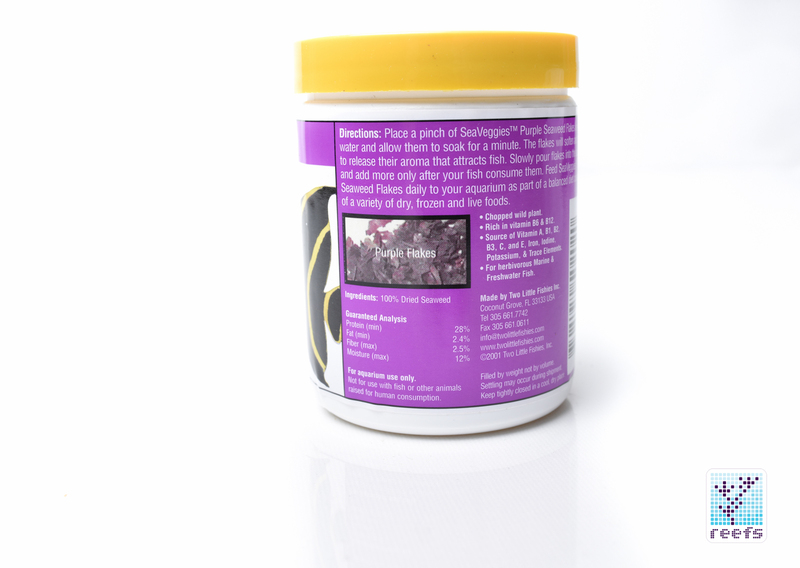 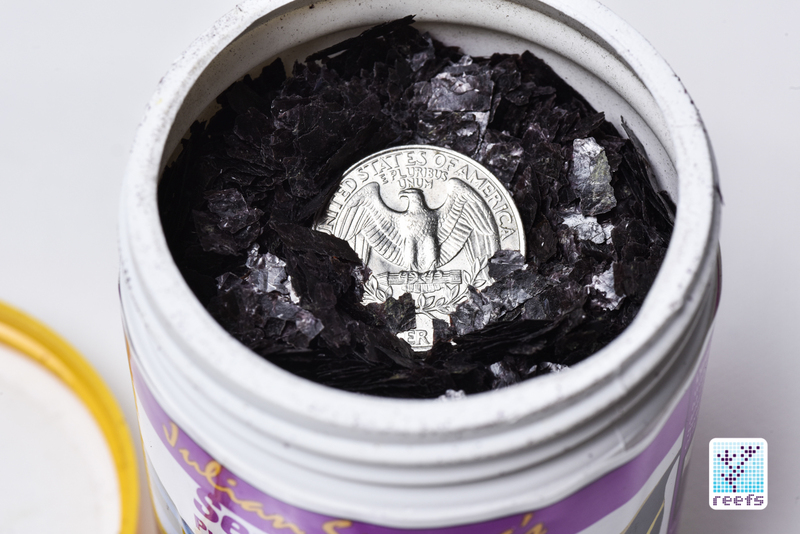 It consists exclusively of Purple Seaweed (Porphyra umbilicalis) with no fillers or any other ingredients added and comes in a 1 oz (30g) plastic jar filled to the brim. 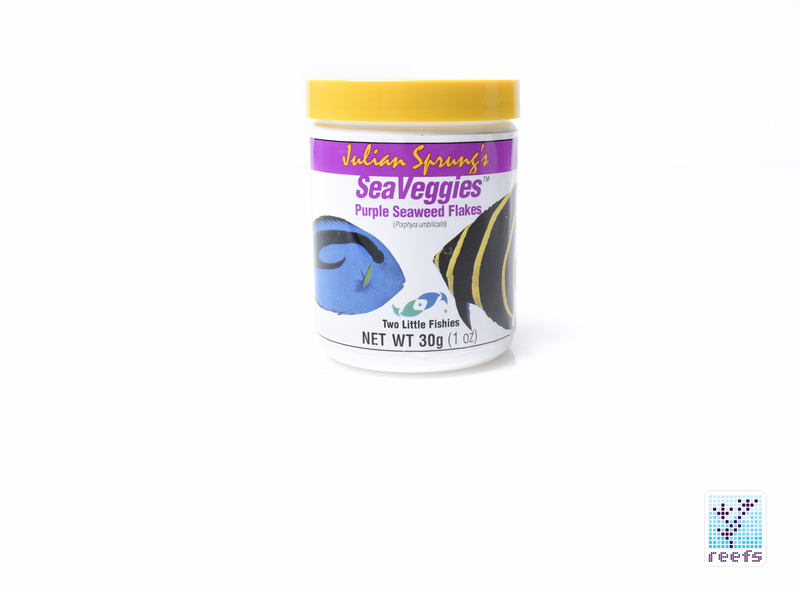 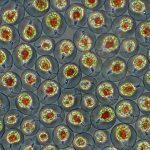 This type of algae is an excellent choice for sea vegans such as tangs and blennies, as well as a supplement food for omnivores.